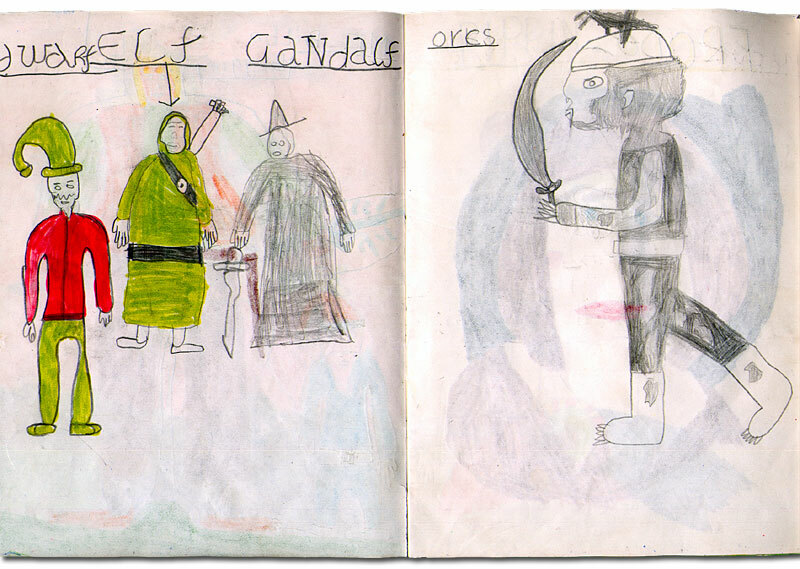 Whilst looking through some old boxes, I found my primary school drawing jotter, my teacher was a Lord of the Rings nut, she read us the whole 3 books and the Hobbit too, and then she got us to draw the charcters. I think this is partly why I chose to write elph. Been watching Ergo Proxy and am now upto episode 20, the charcter above is Pino a little girl android who now has a soul, because she was touched by a Proxy, yep, makes loads of sense I know. Well worth a look. Episode 19 is great it's like Disneyland went wrong. The ending of the series was a let down and went off into 4 episodes of vagueness, setting it up for the ending that would allow for another 10 series or so. Also on the geekery visual intake, I consumed the first series of Heroes, I dunno if that's taking it too far, my favourite charcter was Hiro, not so much for his powers, but his funny outbursts. Other anime consumed, Samurai Champloo and I got a few others too. I won't even go into the Mangas, although Agharta is super good. Just looking at it makes me feel lazy.